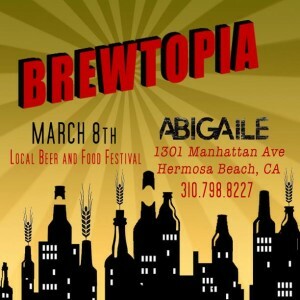 On Thursday evening the Business & Beer networking group met at The Brewery at Abigaile, a brewpub in Hermosa Beach. As one of the co-founders of Business & Beer I will admit that over the last couple of months we have been seriously discussing whether or not to continue with the monthly meeting format. Recent gatherings have been very small; the blame can be placed on weather, holidays, the loss of Daylight Saving Time or any number of factors; the reality is that the only reason it was decided to continue was because over the past couple of weeks three or four people said they really wanted to come to their first Business & Beer. Since the Brewery at Abigaile is one of my favorite locations in the Business & Beer rotation and the meeting date happened to coincide with the Craft Beer Guy anniversary date, it was decided to carry on at least one more month. It was a great decision. 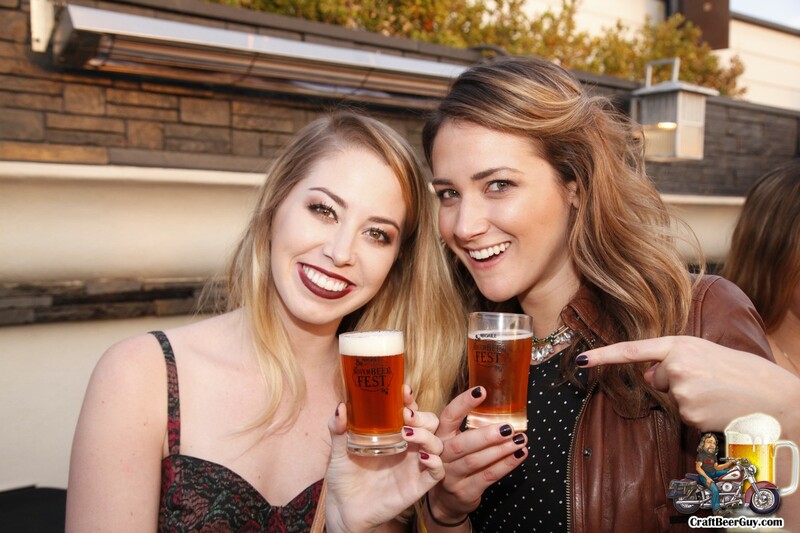 On Thursday evening Business & Beer, arguably one of the South Bay’s more fun business networking groups, returned to the Brewery at Abigaile in Hermosa Beach. The Business & Beer networking group has been meeting since July of 2012 and The Brewery at Abigaile was the second venue visited, making it the longest running in the Business & Beer rotation. 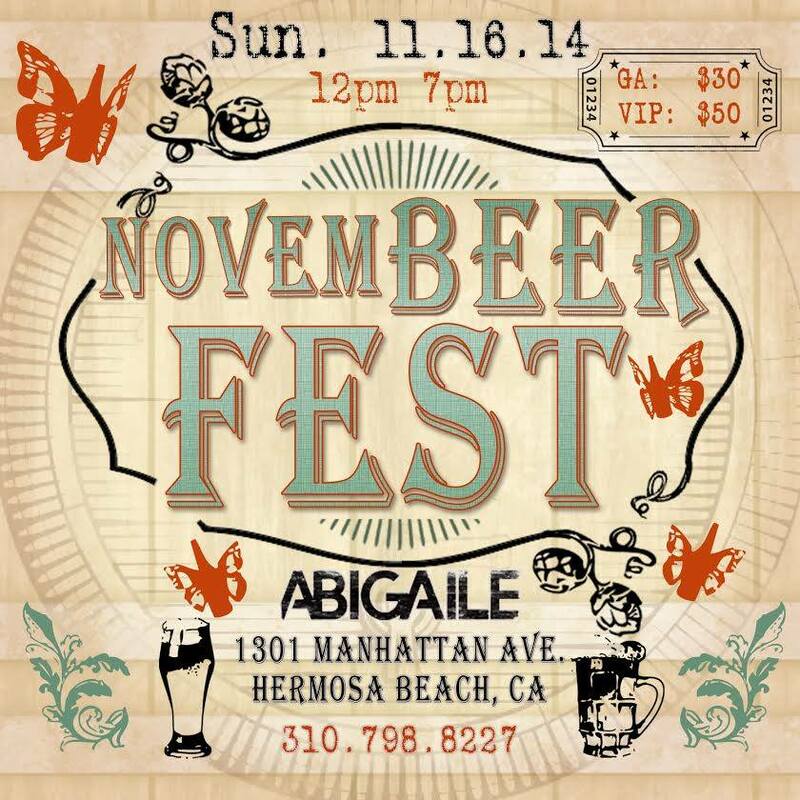 The Brewery at Abigaile is the only brewery in Hermosa Beach and is probably the biggest brewpub in the South Bay. We had a pretty nice turnout considering the number of competing beer events going on at the same time. There was a great mix of regulars and first time attendees which allowed everyone to get to know each other a little better; and about five minutes after everyone left a second wave of first timers showed up. I guess I will have to be sure to include the end time (8:00 PM) along with the start time for future events. The Business & Beer networking group meets on the second Thursday of every month at a different production brewery tasting room or brewpub in the South Bay. Currently, that includes The Brewery at Abigaile, El Segundo Brewing Company, Strand Brewing Company, Monkish Brewing Company, The Dudes’ Brewing Company, King Harbor Brewing Company, Absolution Brewing Company and Smog City Brewing. 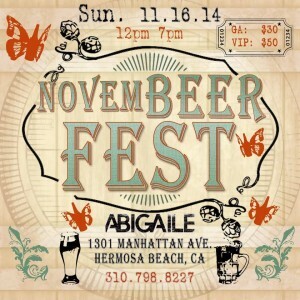 The October 9 gathering will be held at King Harbor Brewing Company. If you live or work in the South Bay and networking is important to your business success or it falls under your job description and you enjoy craft beer, Business & Beer is going to be right up your alley.